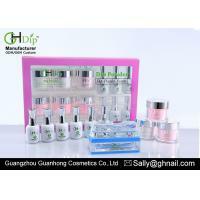 You can get more stronger and lasting longer nail art effect with this dip powder kit. 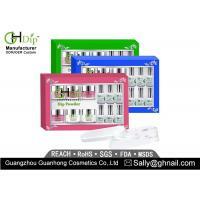 Don’t worry your nail will be harm and the bad smell will make you feel uncomfortable. This french dip powder kit is made of natural organic materials. It is environmentally friendly and non-polluting. 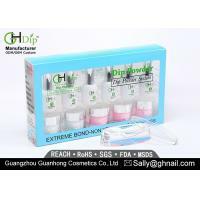 The method of dip nail is easy and efficient. 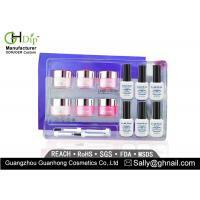 This French dip powder kit include pink and white color dip powder and nail glue. 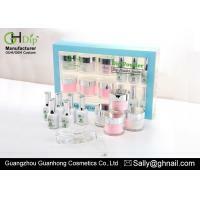 The dip powder will dissolve well into the glue, and the dipping powder liquid will dry fast in the air. You can make the beautiful nail in short time without lamp cure. 1. 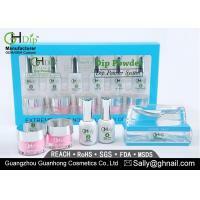 Push back the cuticle, file and shape nail , use drill to even out the surface, use brush remove dust and clean. 2. Apply #1 BOND on all nails to clean. 3. Apply #2 BASE COAT to entire nail. 4. Dip into clear powder, tap off the excess powder. Repeat for all 10 nails. 5. Apply #2 BASE COAT to the entire nail. 6. Dip finger into French dip case with white powder for to create smile line, tap excess powder. 7. Dip finger into pink color powder, then tap off excess powder. 9. 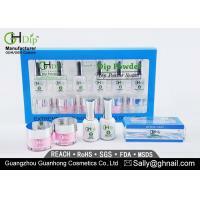 Dip finger into French dip case with white powder again to create smile line, tap excess powder. 10. Dip finger into pink color powder again, then tap off excess powder. 15. 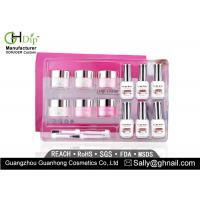 Reshape all nails as your desired, if you file or buff the surface of nail, apply #3 Activator again. 17. 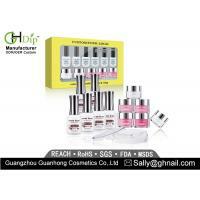 Apply #5 NOUISH OIL to the cuticle area. 1. 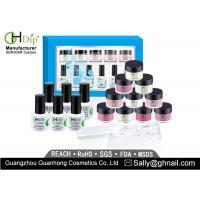 Professional use for quick dip nails.More than 1000 colors for your choice. Any color can be customized as your request. 2. We have a designer team, can offer different design according customer request. Include inside 3D design, outside PVC, paper box design, bottle printing & hot stamping design. 1. Reliable-We are a reliable supplier of dip powder factory with many years experience. Our service aim is fast, efficient, mutual development. / We are professional manufacture which has been in this line for many years. Our products are high quality and competitive price with superior before & after services. 4. Professional-Powerful technical team to ensure the color innovation & quality improvement. 5. Efficient-High efficient sale team & stable / fast delivery solution. DN - brand was originated in UK and introduced in 2003 enjoyed the fame of "Furniture Capital of the World" Foshan City,China,after one hundred years of precipitation design, development, sales and service,DN become one of the concept of the brand. DN brand sofa,armchairs,trunks,wine cabinet and other leather products are all derived from workshop of traditional Italian leather craftsmanship in 1886. Our Chief designer has rich experience in a famous British company with more than seven years experience. Adhering to the European and American classical antique style for the wizard, it’s continuously improving, developing and innovating, and eventually in 2015 with a new (Chinese name: 丹妮国际) brand carrying its full leather sofa, chair, wine cabinet, and other products appeared in Chinese market. With profound cultural heritage and superb workmanship, the products fit in with personal ergonomic design,comfortable feeling of sitting and the characteristics of the natural environment and win the market home and abroad. DN brand leather products, 100% leather manufactured. Brazil imported genuine leather is selected from the top cow leather, through the designer’s best and traditional exquisite workmanship, all products convey their traditional retro features and have the impression of tenacity wild leather and vicissitudes of life.Its unique leather style, seemingly arrogant rude, belligerent, but like proud and imaginative, gentle and elegant, self-styled, conceit; All the same style of the same color but are all doing different leather natural texture.Colors like poetry picturesque, endowing people elegant taste and boundless imagination. Leather wear, significantly longer than its paint with brilliant eyes, lasting for years, filling the user that gritty, stormy, courageously forward and succeed demeanor.